The BAK Vortrak tonneau cover is a retractable cover composed of interlocking aluminum slats. The 1/2" extruded aluminum slats are dent resistant and glide along the heavy-duty aluminum rails as is rolls into the compact canister. The slats form a tight bond to each other, creating a secure, water resistant barrier while the matte black powder coat finish offers great scratch resistance and UV protection. 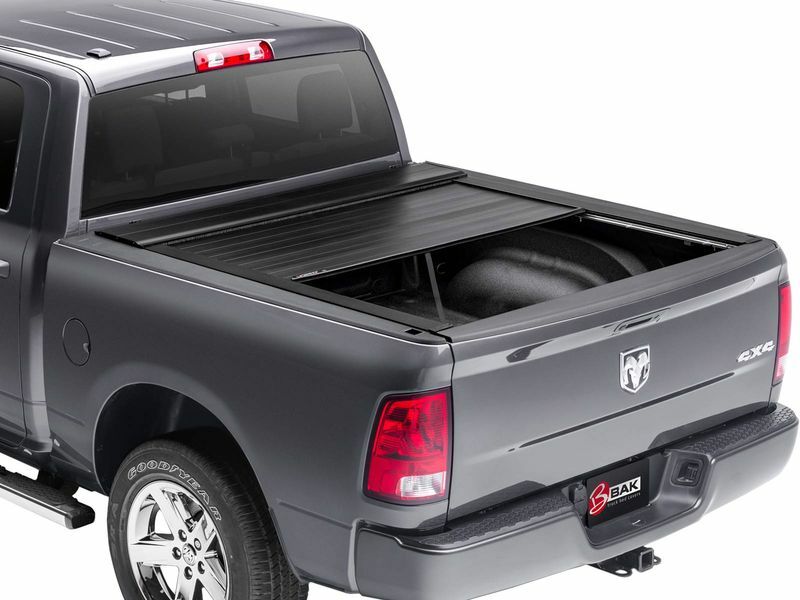 The mounting rails sit flush with the truck's bed caps to create an extremely low-profile look. When the cover is fully retracted into the canister, you will nearly have full bed access. The canister is spring-loaded to assist in easy operation, and the included pull strap makes reaching the cover from the tailgate a breeze. Also, in addition to locking in the fully open or closed position, the Vortrak can be locked open in two additional places of your choice. To open the cover, you simply pull the cable release from either side of the truck bed and slide the cover towards the canister. Closing the cover is easy by using the pull strap attached to the rear of the cover. The Vortrak is an easy installation, with no drilling or special tools needed. BAK protects this cover for 2 years and manufactures the Vortrak right here in the USA, using high-quality components and workmanship.